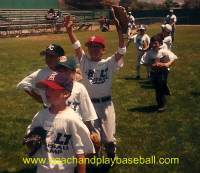 What are we really looking for our kids to take away from youth baseball? Is it trophies, medals, stats, winning tournaments or getting to the next level? Is it heavily performance based so when our kids put up big numbers we now equate performance to us being good parents? The dusty trophies on the shelf will be short lived and eventually end up in a box in the garage like mine did. What is going to last through time is way more valuable than trophies, medals and who won the games. We are really looking for opportunities for our kids to strike out and make an error so they may take a deeper appreciation when they do come up with a big play or a homerun. We want to see how our kids bounce back from adversity. The difficulties and struggles in baseball are life shapers. The challenges of the game build grit and determination in our character. I want my kids to be tremendous teammates. I want my kids to know what it feels like to strikeout so they can be ready when their teammate slumps back to the dugout with their dobber down. I want my kids to welcome that new kid on the team and make them feel like they belong on the ballclub. I want my kids to enjoy the experience and keep a lifelong love of the game. What should we be most proud of when watching our kids play? Homeruns or building high character kids? Parents so often measure their parenting ability to be contingent on how their child plays baseball. If their kids are top players on their teams and produce impressive stats then the performance parents see themselves as really good parents. In reality, we parents will be much better served by measuring our parenting skills on how coachable your child is, how good of teammate they are, how well they are able to bounce back from adversity, how they value sportsmanship, and how respectful they are to umpires, coaches, peers and opponents? This is what I am proud of…not how many homeruns you hit. MUST READ: Find out what you really should be proud of when watching your kids. Why I wont tell you I’m proud of your homerun. I don’t always direct you to another site away from mine but this is just too good to pass up. 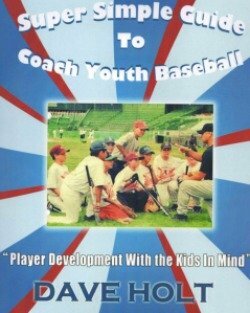 If you are involved in youth baseball as a coach and parent this short read will get your attention. 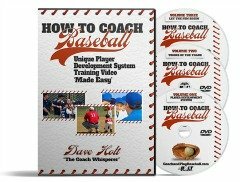 Free 4-Day Baseball Coaching Course EXTENDED to Sept. 30th.